The other day my wife was at one of our daughters birthday parties. She was talking with another one of the mothers there. She knew my wife had an online store and had actually purchased from her. In passing she mentioned to my wife that she saw a lot of things were out of stock on her site. The way she mentioned it though seemed to have a negative tone. She wasn’t hating but was insinuating that it didn’t look so good. My wife came home and told me the story. She decided she was going to remove a lot of the items from the site. She seemed to agree that it didn’t look good. I bring this up for a reason. 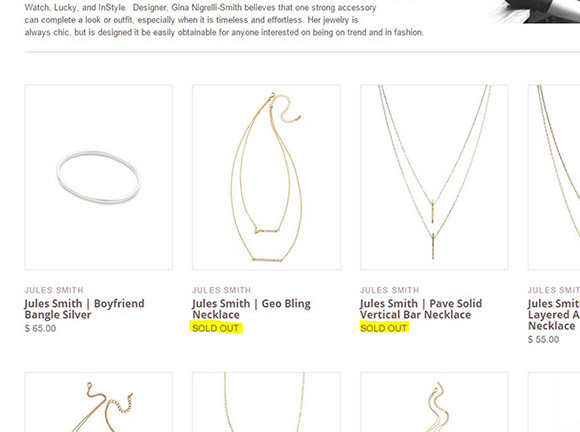 The items that were left on the site “Sold Out” were actually intentionally left there. This is not a case of laziness but rather trying to figure out what works. I believe strongly in buying signals and consumer confidence with online stores. In addition to showing your site is trustworthy you have to show your site has life. I had a theory that if we left items showing as out of stock, it would improve peoples confidence. It would show them that other people were purchasing. This mothers comment left me thinking. Is it better to show “out of stock” or remove the product from your online store. Lets look at a couple of things to consider when showing your product out of stock in your online store. Leaving an item as out of stock shows someone it was purchased. It shows that and that other people are purchasing. I believed that it pushes them to act and buy something else. A while back I added the ability to be notified when something comes back in stock on her Shopify store. Under each sold out button now there is a prompt to have the shopper contact my wife. There are a bunch of apps for this in the Shopify App Store but you can actually do it for free. Lower down in the post I have put the instructions of how to do it yourself.Adding this functionality has resulted in a bunch of people asking to be notified. When she gets the item back in stock, she emails them with a promo code. She converts about 10% of these inquiries. If she is not getting the item back, she tries to show them something similar that they would be interested in. This has worked probably 5% of the time.All in all it has worked and resulted in sales she may not have had. Sometimes she has asked people if they want to custom order the piece. This allows them to pay up front and then she gets the piece from the designer. She doesn’t have to hold the inventory and makes that extra sale. This only happens when an item is shown out of stock. 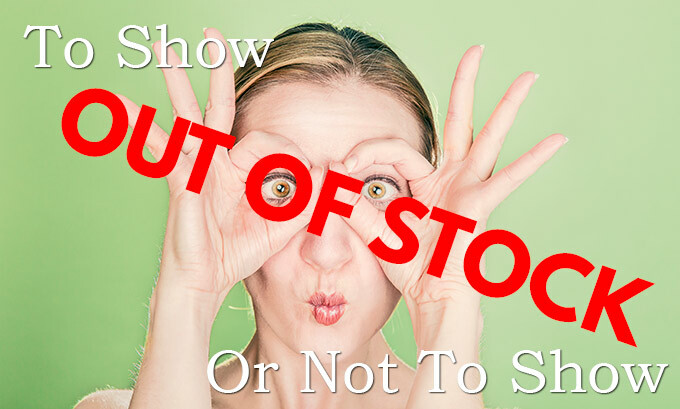 Keeping items showing as “out of stock” increases your perceived inventory. When my wife started her online store, she didn’t have much inventory. It was too expensive to have a huge inventory. Keeping items showing as out of stock made it look deeper. There were more products. Even though they weren’t available it made the collections look more full. Although I didn’t realize at first, showing “out of stock” looked bad. Perception was that you didn’t have inventory. Either that you couldn’t manage your business, or that all the good stuff was gone. It was sending the wrong message and one I hadn’t thought of. Adding the ability to capture emails when something is out of stock is a double edged sword. People want what they can’t get. The fact that my wife was showing so many items out of stock, was preventing people from moving forward. It was giving them an excuse not to buy. “If they had that item, I would have bought, but I will just ask to be notified and not buy anything.” Not good..
Browsing lots of out of stock items gets discouraging for shoppers. When you view the collections of products and categories, my wifes site shows the prices.Until recently it would not show you on the collection page that an item was out of stock. This meant that she was teasing shoppers. They would click in to the product only to find out it wasn’t available. I have now added the “Sold Out” tag on the actual collection page to manage their expectations appropriately. This was quite tricky to get working but help ease the frustration. Now it shows Sold Out before the shopper goes into the product page. As you can see its a two way street. The are legitimate pros and cons to showing items out of stock. 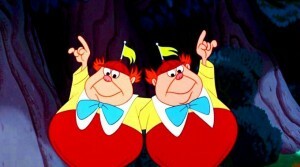 While we are still testing, I think the magic pill lies somewhere between the two. At the size and scale that my wife is currently operating at, she can still manage individual inquiries. She can keep an eye on the inventory and make these adjustments as she sees fit. You can’t let it get out of control. Too much of anything is not a good thing. Don’t have more than one or two items in a collection out of stock. It doesn’t look great. Its worth noting that the big Ecommerce boys don’t show anything out of stock. If its not available to be purchased then they don’t show it. This removes obstacles to the sale. As my wifes store gets bigger and business continues to increase, things will change. I suppose showing out of stock items may be one of them. For now though she will continue to show out of stock items in moderation. Please don’t make the mistake that so many people do. When I refer to “removing” an item from the site I don’t mean it. I am adamant about my wife never actually removing an item from the store. Even if you are never getting a product back, you don’t want to remove the item for good. This page may actually be linked to from other sites. In this specific case this item is currently linked to from Pinterest. If my wife were to actually remove this product from her site, that link would break. People who found the picture on Pinterest and wanted to see the product couldn’t. The link would no longer work. She would lose the traffic from these people and the juice from the backlink. You can learn more about backlinks here. While a Pinterest broken link is not the end of the world, some are. High authority bloggers have written about individual products. They include a link to the actual product on her site. Lose this link and you are losing juice and traffic. So I make sure that my wife doesn’t actually remove the item from the site. What she does is removes it from any collections. Its moved into a different “Out of Stock” collection. This prevents it from being browseable through the navigation or featured collections. It’s still a live page on the site but shoppers won’t see it unless coming in directly to that page. If they land on that direct page, they can still be converted. They can request to be notified and browse other recommended products. 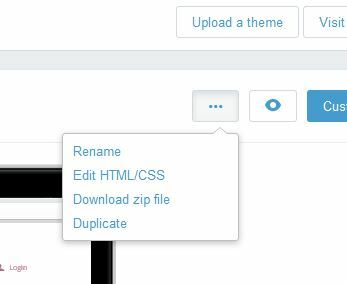 Your first step is to click on “Themes” in your Shopify Admin and then click on the three dots at the top right. From here you will click on “Edit HTML/CSS.” You see just like that you are a programmer. Now on the left side you will see all the templated pages that make your site run. Click on product.liquid. Don’t be afraid. Its gar-baldy goop but just read through it. You are looking for a part that says “Sold Out” or something like that. Most sites by default will change the “add to cart” button to a “sold out” button or it will display “sold out” next to the button. This is the area that we are looking for. Under the yellow highlighted line is where we will be entering our code. Once you paste the code the text will change colors a little. This is Shopify understanding the code. If you look closely in what you pasted, you will see the words “Click Here” and “to be notified by email when.” You can change these items without touching the rest of the code to say what you want. Save the page and “Walla.” You are done. 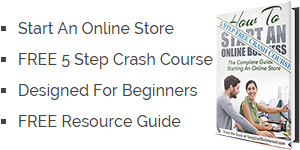 So when deciding whether or not to show out of stock on your online store, you need to consider the pros and the cons. If you aren’t collecting email addresses or notification requests there is no reason to have it showing on your site. The only time I would leave it is if its been ordered and coming back shortly. Even if that’s the case though, you should be collecting emails. If you are collecting emails, then I think it makes sense in moderation. Use it to test the interest in certain products or sparingly while waiting for items to come back in stock. Clean out the old ones and products you aren’t offering any more. You need to make sure it works for you but think about the consequences either way. Am I not thinking of something else to consider? Let me know in the comments.